Vice President Mike Pence told reporters Monday that the White House counsel’s office is looking into and the president is considering declaring a national emergency over the crisis at the U.S. southern border. Pence told reporters that the president has made no decision on whether to declare a national emergency. Reporters asked how thoroughly the White House was considering declaring a national emergency and whether such a declaration would get locked up in court challenges. President Trump is considering the possibility of declaring a national emergency, according to Pence, who said they are also considering what Congress can do. “What I’m aware of is they’re looking at it and the president is considering it,” Pence said. Pence emphasized the Democrats have repeatedly refused to negotiate and that the representatives they sent to talks with administration officials over the weekend were not given any authority from their Democrat members to negotiate. “Democrats need to start negotiating,” Pence urged. He added that one of the things the administration officials and Congressional staffers talked about over the weekend was that the administration would be willing to address some of the funding needs with emergency supplemental funding. He said they indicated this because it came up in the weekend meetings when the staffers asked where additional funding for border security would come from. Vice President Pence made clear that the Trump administration made an offer on the day before the shutdown that would have kept the federal government open but did not confirm the dollar value of the offer. 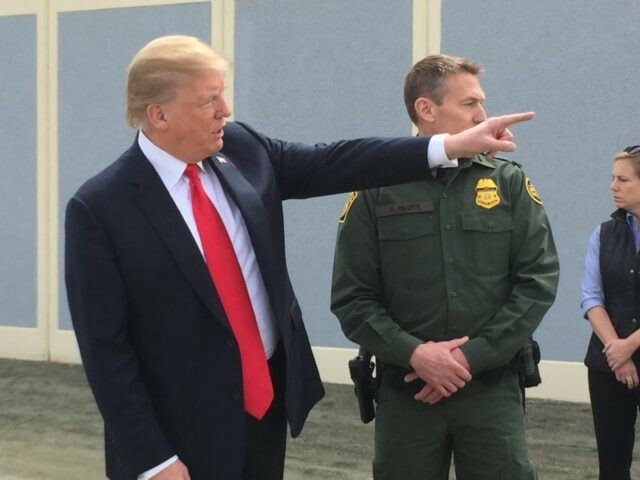 He said the offer did come from the president but that they did not receive a decision until a week later and were then told the Democrats would not be providing a counter offer. Pence said that Democrats have flat refused to negotiate on securing the U.S. southern border until the government is reopened. President Trump announced Monday that he would “Address the Nation on the Humanitarian and National Security crisis on our Southern Border. Tuesday night at 9:00 P.M. Eastern.” Pence indicated at the Monday briefing that there is supposed to be a briefing with House members before the president’s address.